After the renovations in 2006, Anjung Gurney Hawker Centre is today, the best place to taste all the famous Malaysian hawker fares. 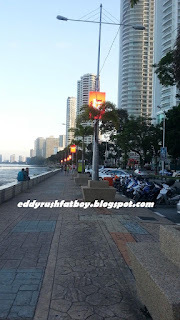 This open air food court is almost toward the end of Gurney Drive. Most stall starts around 6pm and crowd will start pouring in around 6:30pm. 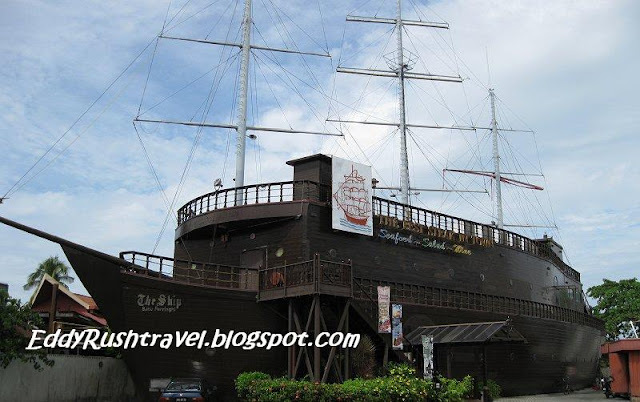 The other day in Penang, me and gang go to Batu Ferringhi,when we decided to crash at The Ship for a Dinner,The unique thing about The Ship in Penang was the fact that the restaurant was housed in this rather huge ship unlike its other outlets in Malaysia. Upon entering The Ship, I was pretty impressed with the decor and effort put in place to make it look like we are entering a "real" ship with the wooden settings, and round windows. with sausage, fried banana, corn on cob, that is served with fries and vegetables.